Set in a lakeside country estate, this comedy portrays the struggles of Konstantin to achieve his artistic ambitions and win the admiration of his muse Nina. Frustrated by his spotlight-craving actress mother and envious of her distinguished lover Trigorin, Konstantin's misery is only further inflamed by the other characters at the estate. 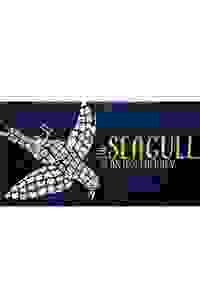 "The Seagull" takes a magnifying glass to the human psychology and the beautiful absurdities of life. Don't see it if Upper Westside Church. Three hours, one intermission. Stairs, no elevator. Some heavy Russian accents. See it if You like Chekhov. This is the best Seagull I've seen. Full of lightness and music. With a beautiful and intensely dark forth act. Don't see it if You don't like a little abstraction in your storytelling. See it if You want to see real Theater!! This show is life changing. It stays with you and won’t leave you. Thank you, what an ensemble piece. Don't see it if You can’t commit to a 2h 50 min show. See it if You want to see Seagull done right. It was so touching, provocative and dynamic. Best theater company in town! Don't see it if You don’t enjoy to be provoked inside the theater. See it if You want to be moved to your deepest bones. Incredible show. Thank you for bringing such a moving piece to the stage!! Don't see it if You don’t like Theater. See it if I thought this was a beautiful and dazzling Seagull. So uplifting and touching! Don't see it if You prefer the glamour of Broadway. This is a simple space and yet carries so much magic. See it if You are looking on a fresh, uplifting take on Chekhov! Very engaging show, had me in tears by the end. Don't see it if You cannot stand a more stylized approach. This show is either love or hate. See it if You want to laugh, cry and see wonderful acting! What a great experience! Don't see it if No reason! Go see this! See it if You are a Chekhov fan! Have seen many Chekhov shows in my life, and didn’t expect much—but this show blew me away. So touching! Don't see it if You don’t like physical theater or actors with accents. See it if You like classic Russian theater. A beautiful, evocative, emotional take on Chekhov’s best play. Don't see it if You can’t stand a long play.